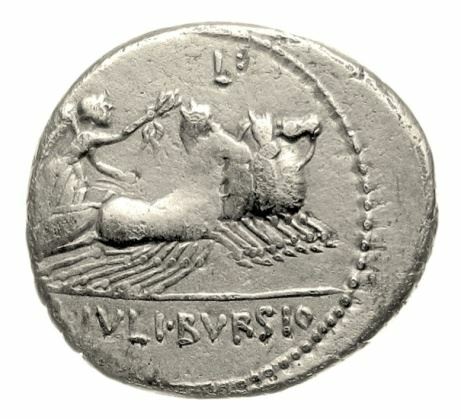 L. Julius Bursio was one of the moneyers for the year 85 BC, but is not otherwise known. Gens Julia or Iulia was one of the most ancient patrician families at Ancient Rome. Members of the gens attained the highest dignities of the state in the earliest times of the Republic. The first of the family to obtain the consulship was Gaius Julius Iulus in 489 BC. The cognomen Bursio is derived from the Greek word bursa, meaning "a hide." It is known only from coins.